I’ve created the Twitter account for Tabs Studio where I plan to write about the lesser details than on this blog. Follow Tabs Studio on Twitter! 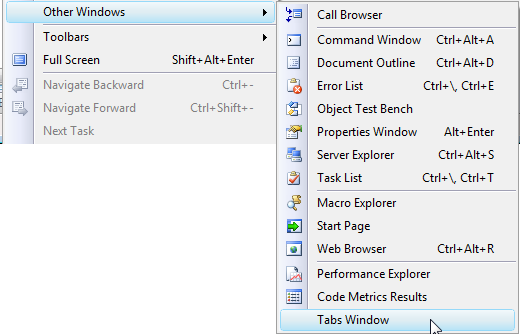 Tabs Studio v1.7.12 is released – added Tabs Studio toolbar (except in VS 2010), renamed the Settings command to Options, fixed unhandled exception when opening context menu in a solution with unrecognized projects, fixed windows shift when switching from tabs in a separate window to normal tabs, disabled separate window tabs checkbox in VS 2010. I plan to make the toolbar available in Visual Studio 2010 closer to its release date. Get Tabs Studio 2010 Silver theme style by Jameel Al-Aziz (Visual Studio 2010 Beta 2 and Tabs Studio v1.7.6 or greater required). 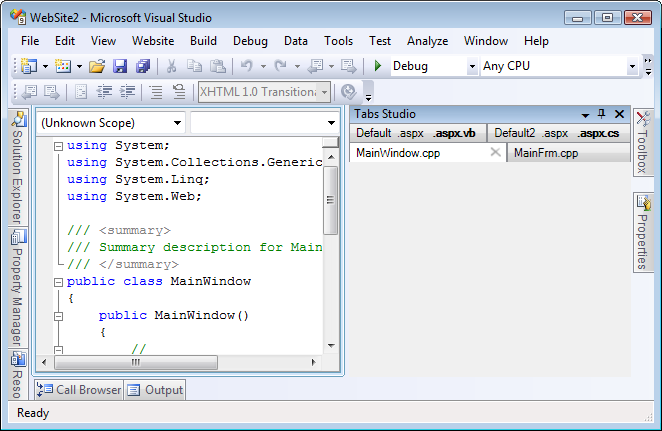 Tabs Studio v1.7.11 is released – added the Show tabs in a separate window option. 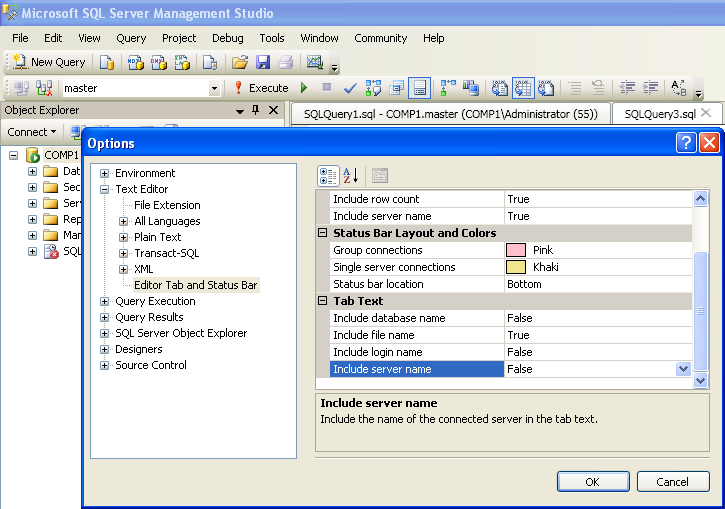 Tabs Studio v1.7.10 is released – added the Maximum number of tabs in a group option, changed empty tab grouping regex options to mean “disable tab grouping”, fixed rare unhandled exception in SSMS query designer. 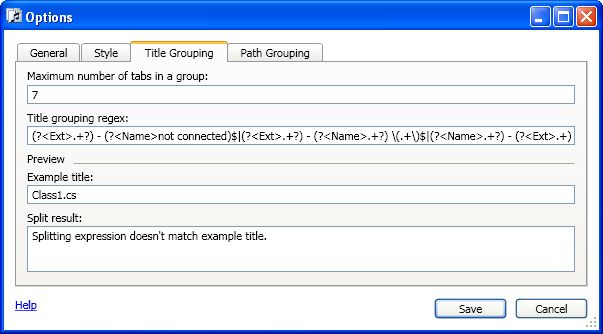 Setting the Maximum number of tabs in a group option to 0 allows any number of tabs to be combined in one group.